If you never thought in a million years that you could cook or bake, this blog is for you. Welcome and join the club! I never believed in my wildest dreams I could be adept in the kitchen. But once I started to learn, I actually began to enjoy cooking and baking and soon the sky was the limit. I’ve designed this blog not for the culinary adept, but for all of those wannabe cooks out there who want to become more proficient but don’t know where to turn. This blog has been a work in progress for a couple of years now and reflects a few of the things that matter most to me. The primary focus of the blog is cooking and baking. I found myself becoming an accidental cook having never been interested in honing my culinary skills early on and never having anyone to mentor me. Now my hope is to help others like myself who had no one to mentor them in the art of cooking and baking and want real life information and advice on how to become more successful in the kitchen. There is a lot they don’t show you in pictures or tell you in recipes. My recipes are down home, mostly easy to prepare but always impressive. My goal is to provide recipes that actually work with detailed information on how to make them along with the lessons I learned to get them right – so you get them right first time, every time! I also have other passions that cause me to write, namely women’s issues, my pets, family, friends and just general rants about life and the issues of the day. And last but not least I also have blogs dedicated to a very important time in my life, when I taught in after school programs at the Chicago Park District’s Hiawatha Park. 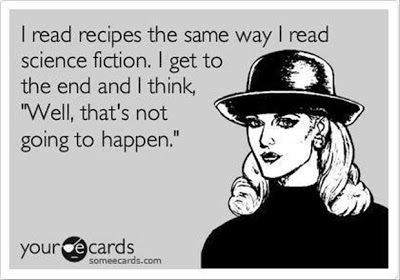 You can find those blogs and all my journal entries not related to cooking and baking under the category of general rants. mmm. . . I’m getting hungry just looking at the photos. Try some of them – they taste as good as they look! YUMMMMM! All of these photos look so delish! Try some – I am just an everyday cook doing simple stuff and sharing my knowledge especially for people who may be challenged in the kitchen. I love doing what I am doing and hopefully I am helping some avoid the disasters in the kitchen that I’ve had. I really appreciate your comment! It does not sound simple to me– I love all these ideas! 🙂 Having so much love for what you are doing makes all the difference. Happy Monday!